If you're hooked on finding a stress-relieving promotional give-away for your clients, bass stress balls will be just the bait you need. These stress balls will suggest relaxation and comfort in both the time tested stress relief found in fishing and the calming effect of a stress reliever ball. 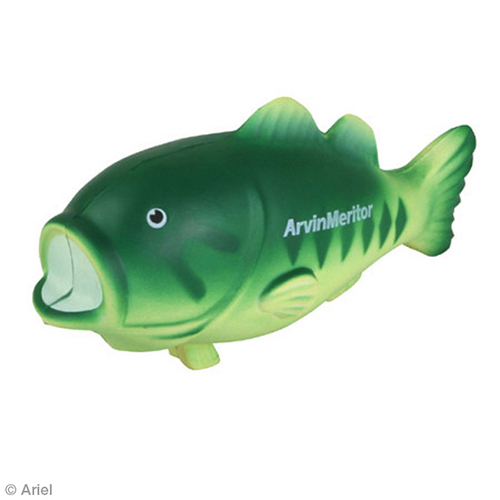 You'll be catching more than bass with your logo imprinted on these largemouth stress balls! Item Size : 4-1/8" x 2-1/8" x 1-1/2"